My goal was compiling Caddy for my old Raspberry Pi 1 Model B. Caddy only provides an ARMv7 binary which isn’t compatible to the original Pis ARMv6. My Raspi is running on Hypriot, the Docker distribution for the Pi, therefore I wanted Caddy to run in a container as well. I chose my own Alpine Linux base image as its foundation. While trying to get Go running in my Alpine container I encountered a small problem. Go is looking for /lib/ld-linux-armhf.so.3 which isn’t available on a minimal Alpine Linux installation. Running apk add libc6-compat finally solved this problem. A couple of days ago I found an easy solution to a problem I ignored way too long. When working with Virtual Servers it’s a common occurence that you test something, it doen’t go as planned and the server doesn’t boot properly anymore. Most VPS providers offer some kind of Recovery OS or a Rescue System for those situations. Just boot the server into this OS, revert your faulty changes, reboot the system and you’re set to nuke your server again. Add correct host key in /home/m3adow/.ssh/known_hosts to get rid of this message. RSA host key for testserver.adminswerk.de has changed and you have requested strict checking. I have been up to the ears in work and in projects, that’s why I haven’t been posting a lot. I initially wanted to create a series about automatic service discovery and configuration with Consul, Registrator and consul-template, but decided to switch to Rancher in the process as I encountered too much hassle and had to make too much workarounds. But that’s not the topic of this post. I recently created a short video on asciinema to further explain dockers --userns-remap feature which significantly improves security. --userns-remap=default|uid:gid|user:group|user|uid Enable user namespaces for containers on the daemon. Specifying “default” will cause a new user and group to be created to handle UID and GID range remapping for the user namespace mappings used for contained processes. Specifying a user (or uid) and optionally a group (or gid) will cause the daemon to lookup the user and group’s subordinate ID ranges for use as the user namespace mappings for contained processes. I don’t want this at all. I’ve got several domains set up which are not logically linked, some are not even linked with my name and shall stay this way. So I created a small script to allow the creation of Let’s Encrypt certificates for several Uberspace domains independently. Introducing letsencrypt-uberspace-mgr. Short tip because I had to spend more time onto it than I wanted. 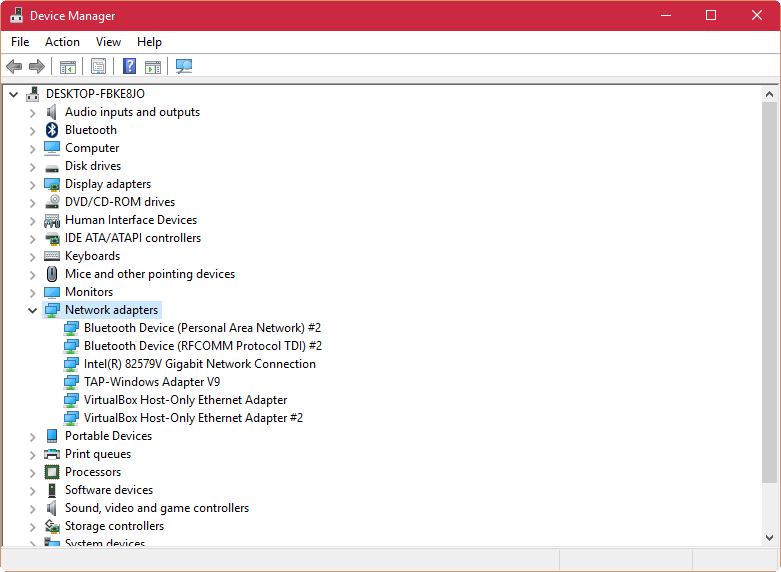 If your Windows 10 often denies a shutdown and reboot instead, check the Power Management setting of your network cards. Check the properties for each of your Network adapters. If there’s a tab Power Management, see if “Allow this device to wake the computer” is checked. 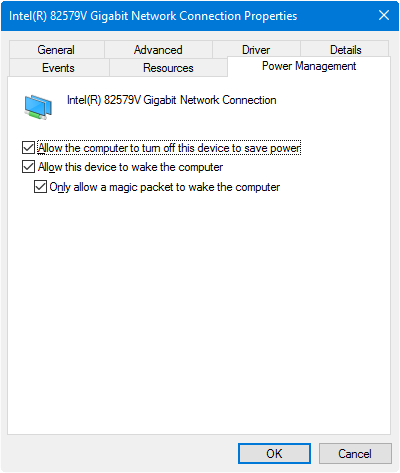 If you’re using Wake-on-LAN, check “Only allow a magic packet to wake the computer” as well, otherwise just disable both settings. That’s it, your PC should now stay off if you shut it down. It’s possible this setting is reset after updates, so check if the problem resurfaces. I have no idea why this feature was introduced. From my understanding that’s what the magic packet is for. So if one of my readers knows something about it, feel free to comment.